Join Angela for the "Help, How do I Quilt It?" lecture and stick around afterward for a Meet & Greet! Join Angela (and Squiggy, Shorty, Slim & Archie) to learn and improve your ruler skills! You might even get a sneak peak at something new coming! *This class will use a panel created by Doodle Quilting Studio, which will be available for purchase and prep prior to class date! Join Angela and learn how to execute a variety of designs in your borders and quilt backgrounds! Using either a small simple quilt (or drawn whole cloth), Angela will show you how to navigate through your quilt! Do you own a longarm, want a longarm, dream about a longarm?! 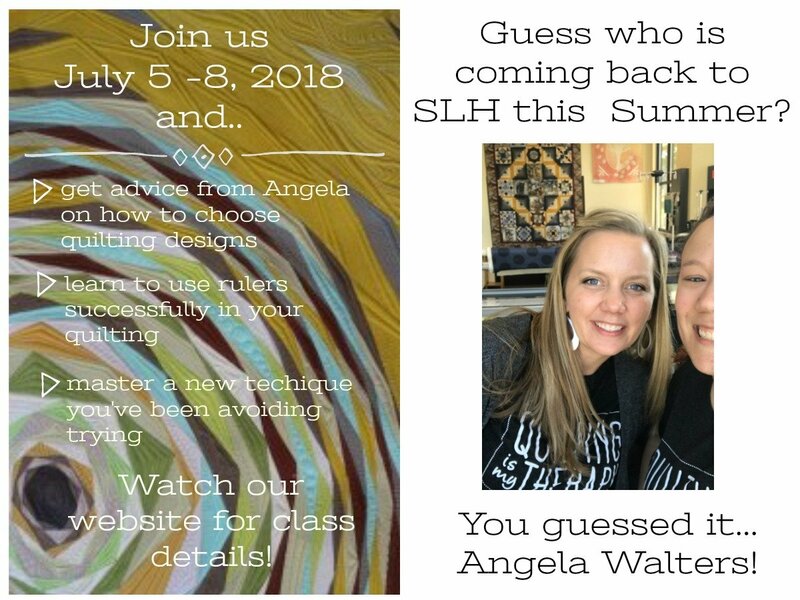 Join Angela for this lecture demo to learn a variety of Longarm Skills! These will be techniques you can translate to any brand longarm!